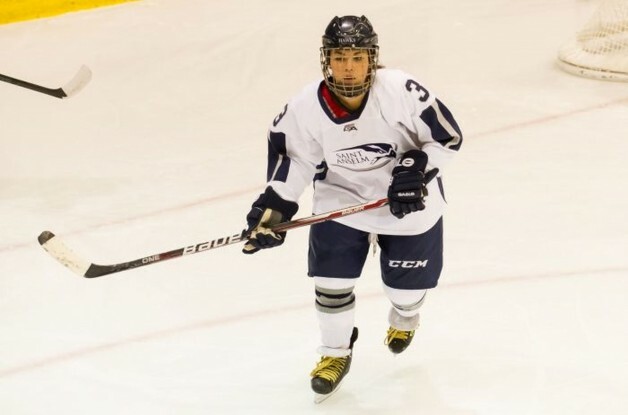 When Robin Yoshida graduated from St. Anselm College this past spring after four years on the Hawks NCAA Division III team, she already had a plan of what to do with her life after hockey. A Los Alamos native that played 34 career games with St. Anselm (a Division III school located in New Hampshire), Yoshida was one of two New Mexico natives in the NCAA women’s ranks last season as Kristen Molina of Albuquerque played for D-III Amherst (Mass.) College. Since May, Yoshida has been at home working, but is leaving for Madagascar in February with the Peace Corps to participate in community health volunteering and helping local healthcare workers. Yoshida added that while New Mexico is far from a hockey hot spot, she wants to be an ambassador for the future generation that is looking at playing college hockey.